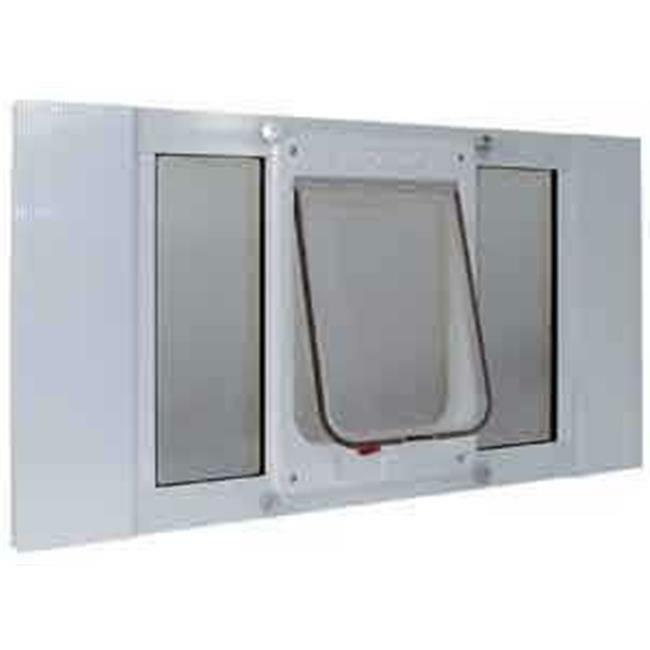 ›Sash Window Cat Flap Width adjusts from 33 in. to 38 in. Sash Window Cat Flap Width adjusts from 33 in. to 38 in.